Deadline|Hollywood is reporting that FX Networks is developing a series adaptation of the Korean film thriller Soo, which itself is an adaptation of the graphic novel Double Casting by Shin Young-woo. Barry Josephson (Bones) will executive produce. In the film, twin brothers Tae Jin and Tae Soogrew up in the streets together, but they get separated when Tae Jin gets caught by a gangster for stealing. Years later Tae Jin has grown up to become a police officer, while Tae Soo is now a top assassin. The brothers finally reunite after two decades of separation, only for Tae Jin to be brutally murdered in front of Tae Soo's eyes. 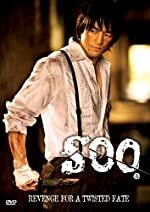 Determined to avenge his brother's death, the guilt-ridden Tae Soo assumes Tae Jin's identity and sets out on a blood-slashing path for revenge and redemption.